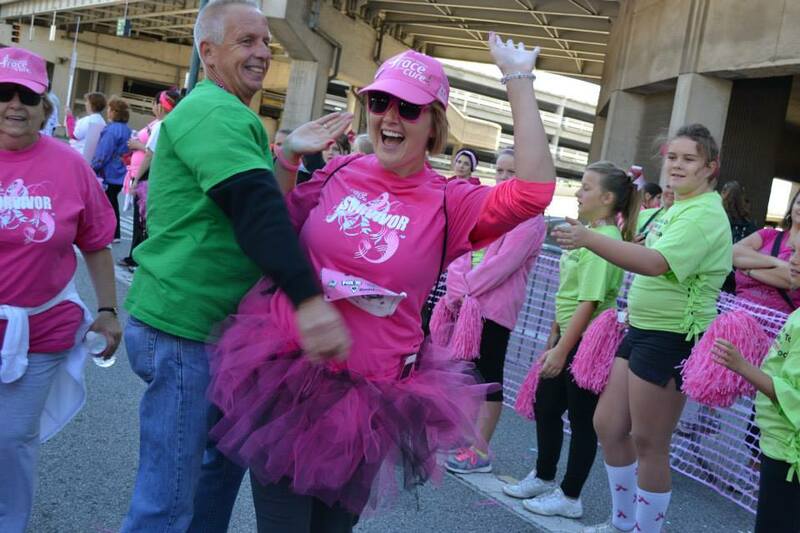 Komen Greater Cincinnati Official Blog | we are fighting everyday to save lives and end breast cancer forever. Today, October 13th, is Metastatic Breast Cancer (MBC) Awareness Day. 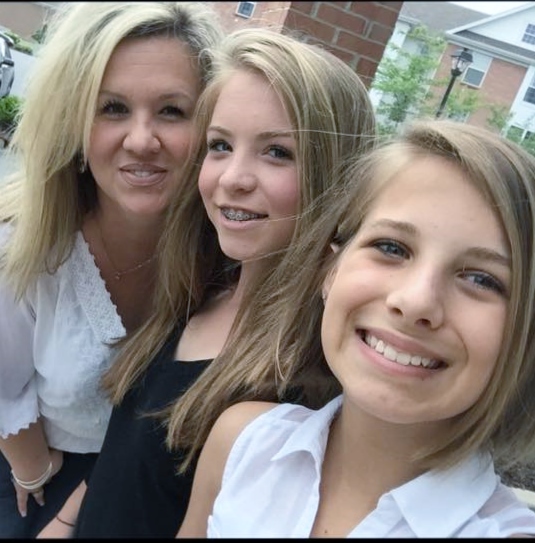 Please welcome our guest blogger, Jen Anderson, as she shares her story and thoughts on our blog today. Patty Stump and Mike Shroder look like your average married couple. They are parents, grandparents, restaurant owners and best friends. 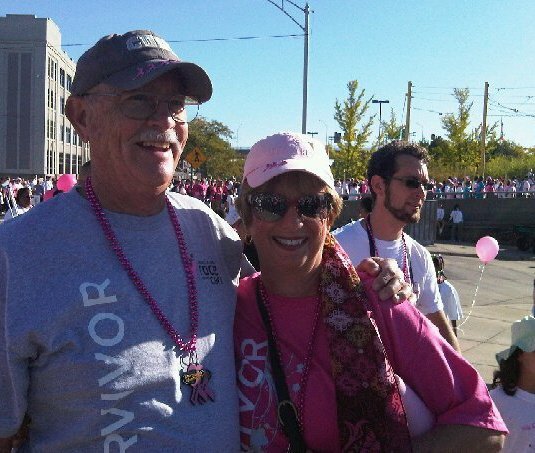 But they have one thing in common that most couples do not: they are both breast cancer survivors. 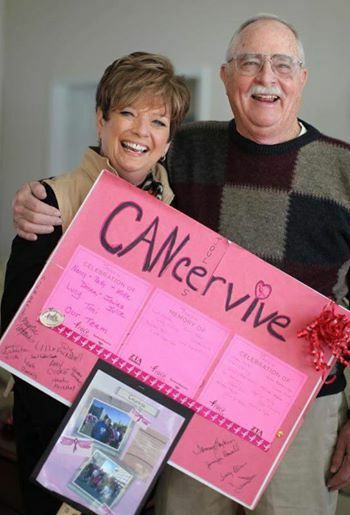 Patty shares their inspirational story in today’s post. 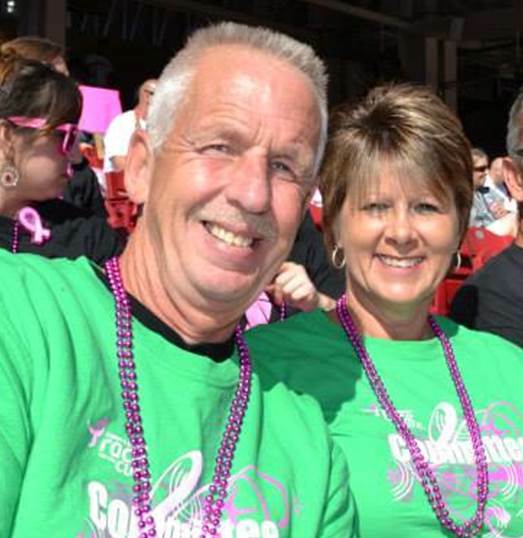 “Mike and I share a lot of the same things that most married couples share except for ONE….. breast cancer! Most people are not aware that MEN can get breast cancer too! Yes it is true! While the occurrence is much less the survival rate for men is much lower. I believe the reason is 2 fold. One is because men don’t look for it like women do, the other is when breast cancer occurs in men the tissue is so close to the chest wall it moves into the body very quickly so by the time it is realized it is in later stages. Mike was diagnosed in 2006. I personally had NEVER known any other man that has had breast cancer. I soon discovered, while it is unusual, there are quite a few other men out there that are fighting the same fight. That is: fighting a disease typically know as a women’s disease. I was diagnosed in 2007 one year and 1 week after Mike and then again in 2011. Both times were very early stages and we both received excellent treatment from the doctors at UC Cancer Institute’s Comprehensive Breast Center. Since our diagnosis we have felt it very important to let men know that they can also get breast cancer and that early detection for women can lead to a positive outcome, depending on the type and stage of cancer. 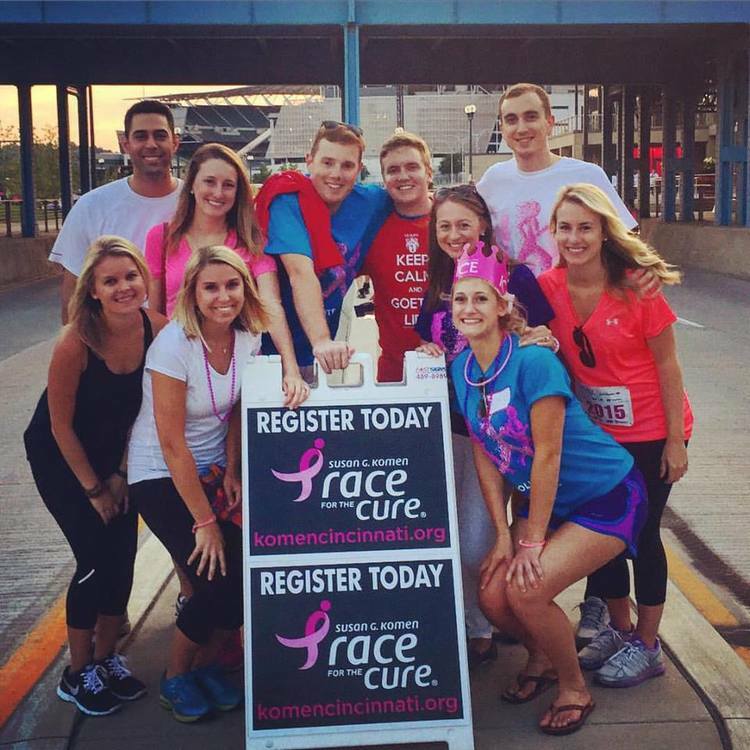 The Greater Cincinnati Affiliate of Susan G. Komen for the Cure® is pleased to announce our 2015-16 Community Health Programs. 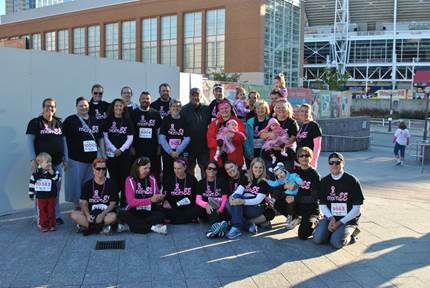 This year, with the assistance of generous donations from the community, the Affiliate was able to award over $366,170.00 dollars to breast health programs in the Greater Cincinnati area. These important safety net, navigation, and emergency assistance programs target women in our community. Additionally, $150,000.00 was awarded to Sponsored Research of Joan Garrett, PhD at the University of Cincinnati for a total local investment of over $516,170.00! Adams County Regional Medical Center – Adams County Regional Medical Center (ACRMC) helps alleviate the costs of diagnostic services and co-pays for breast health services in the Adams, Brown, and Highland County area. Women who qualify under specific financial criteria set by the provider who are also in need of additional care beyond a screening mammography will be able to access these services provided by ACRMC. Center for Appalachia Research in Cancer Education (CARE) – CARE’s Project Hoffnung (Hope) was developed to meet two goals: to provide education about breast health, and to link women with breast cancer screening services. This program strives to continue established community-based screening and education programs in Adams, Highland, and Switzerland Counties for Amish and Mennonite women. The proposed program uses the foundation of trust we currently have established over 14 years within the communities and combines a sound process and impact evaluation plan with strong community-based partnerships from the Amish and Mennonite settlements. This initiative represents an ideal collaboration between agency-based and community-led organizations in order to maximize resources and disseminate breast health services more widely in this underserved community. Dearborn County Hospital – The DCH Safety Net Program will provide diagnostic procedures (mammography, ultrasound, and biopsy) and surgical consults for medically appropriate clients with no insurance, high deductible/high co-pay insurance or those who fall in the gap between Medicaid/HIP and the Marketplace, especially those in rural areas including Ohio and Switzerland Counties. Also, to provide a very limited number of screening mammograms for these individuals, especially those not eligible for an Indiana Breast Cancer Awareness Trust screening due to residency /lack of availability. Having this funding available will allow patients to pursue/receive needed care in a timely manner providing for the best possible clinical outcomes. Clients with an abnormal screening mammogram/documented breast abnormality will work with the Nurse Navigator to coordinate timely advanced diagnostics including as appropriate, surgical consults and biopsies. Clients diagnosed with a cancer/breast abnormality will continue to work with the Navigator for coordination of treatment and follow-up. Clients will also be referred to the DCH Certified State Navigator/ Social Worker for help in applying for assistance/insurance. The project will be evaluated by the number of clients served by each modality and the number of breast cancers detected. Low income/at risk clients will be more likely to receive needed diagnostics and/or treatment on a timely basis, without nonmedical delays, allowing for the best possible clinical outcomes. Mercy Health-Anderson – The purpose of this Safety Net Project is to provide diagnostic breast health services for women with financial need who do not qualify for other assistance programs. The program provides a ―safety net for low and moderate income newly-screened women in order to remove the financial barrier that keeps them from seeking follow-up and/or treatment. A nurse navigator will promote the program among referring organizations and help women receive timely follow-up procedures such as diagnostic mammograms and ultrasounds. The likely impact will be timely scheduling of follow-up procedures and an increased number of early stage diagnosed cancers in a timely fashion. There is no comparable program for women who are underinsured or whose income is up to 300% of the poverty guidelines. St. Elizabeth Healthcare – St. Elizabeth Healthcare helps alleviate the costs of service for women who do not qualify for insurance plans to cover screening mammography and diagnostic services primarily in the Northern Kentucky area. Women who qualify under specific financial criteria set by the provider who are also in need of additional care beyond a screening mammography will be able to access these services provided by St. Elizabeth Healthcare. In addition to five counties in Northern Kentucky, the program will be able to assist in some specific services in Dearborn, Ohio and Switzerland counties in southeastern Indiana. YWCA of Greater Cincinnati – The YWCA’s Hispanic and Minority Breast Health Outreach Program (BHOP) markets, implements, and provides mammograms for women in these underserved communities. The Hispanic and Minority BHOP provide education and on-site registration for women in the Greater Cincinnati area. The Hispanic and Minority BHOP coordinate and promote with local mammography providers sites specifically targeted to ethnic minority women. The Hispanic and Minority BHOP also assist minority women with financial questions, as well as guidance on the entire process. Women in need of financial assistance will be enrolled in funding programs. Further, the YWCA Hispanic and Minority BHOP provide educational outreach in the community. Cancer Family Care – Our Center for Individual & Family Counseling (I&F) provides services to women with breast cancer, the most frequently diagnosed cancer in women. I&F help breast cancer patients and their families cope with the overwhelming psychosocial distress, anxiety, and depression associated with a breast cancer diagnosis and treatment. Key activities include providing in-person counseling as well as Coping Connections telephone hotline support to breast cancer patients and their loved ones regardless of socioeconomic status (participants pay on a sliding scale); those unable to afford services receive them at no charge). These programs are evaluated regularly using process and impact evaluation measures to ensure delivery methods are working. Studies conducted by leading oncologists and medical organizations have shown that programs like I&F that help cancer patients deal with the psychosocial effects brought on by cancer decrease stress and boost the immune system, which can have beneficial impacts on recovery. On average, 85% of I&F participants note an improvement in their ability to manage and cope with their cancer regardless of the course of the disease (this is meaningful because patients do experience setbacks during participation). When cancer patients improve their ability to cope, they feel less stressed and more energized, and far more likely to follow their course of treatment. The importance of this cannot be overstated. Cancer Support Community – The goal of Community of Hope is to connect, support and empower women throughout the stages of breast cancer – in order to improve quality of life and enhance the recovery process. Backed by evidence that the best cancer care includes social and emotional support; Cancer Support Community is advancing innovations that are becoming the standard in complete integrated cancer care. The program’s activities include one weekly support group for women with breast cancer (Stages 1, 2, 3), the Breast Cancer Survivors and FORCE networking groups, the Young Survival Coalition, a Breast Cancer Post-treatment group and YCat yoga. These groups provide support and education to women throughout the stages of their breast cancer journey, and bring together women with similar needs and concerns. We anticipate that Community of Hope will serve approximately 145 women in the Greater Cincinnati region. All programming at CSC is continually evaluated to ensure participant satisfaction and best use of resources. Program enrollment, retention and attendance are tracked; and impact evaluations are completed by all participants during and after program involvement. 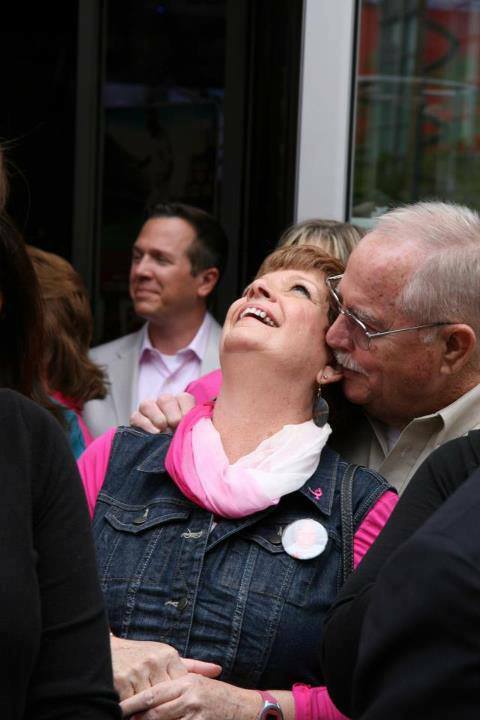 The history of our breast cancer programming indicates that participants will experience increased feelings of hope, lowered depression and will feel a connection to other women in similar situations. Dearborn County Hospital – The Nurse Navigator/FNP is essential for the provision of comprehensive coordination of care encompassing advanced diagnostic, treatment and/or reconstructive procedures for clients with an abnormal screening or abnormal screening/diagnostic mammograms. The Navigator/FNP also provides education, reference and support for clients, families and the public. Special emphasis is placed on assisting underserved women. The Nurse Navigator/FNP will ensure that clients receive timely and appropriate advanced clinical care, related follow-up and social services to help facilitate the best possible patient outcomes. Cancer Family Care – These supplemental dollars for women undergoing treatment for breast cancer expands the financial assistance and service offerings. Women with an established financial need may contact Cancer Family Care to access these one-time only dollars to assists in identified expenses unrelated to treatment, but critical in the overall rehabilitative care of women with a diagnosis. Women in the Affiliate’s 21-county service area may be eligible for these dollars.